The goal of all Orthodontic treatment is to correct any mal-alignment of your teeth and jaw. 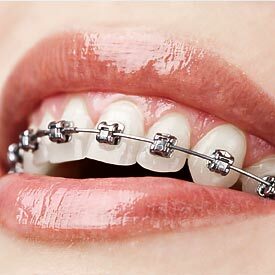 At Point McKay Dental, we provide NW Calgary Orthodontic Dentistry. Orthodontics has come a long way since wire braces were first introduced. 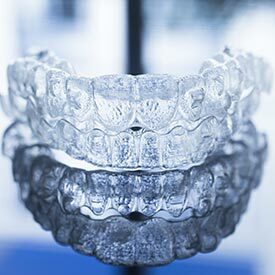 It now includes a wide variety of Orthodontic treatment options including traditional wire braces, dental appliances, and now Invisalign Invisible Braces. 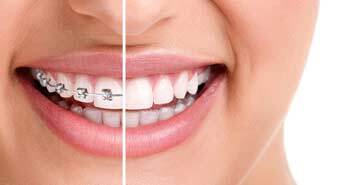 Traditional wire braces often left patients self-conscious about their smile, now with Invisalign orthodontic treatments, being self-conscious about your smile is no longer a necessity. Invisalign Invisible Braces have revolutionized Orthodontic care. They are easy to clean, comfortable and help you feel confident in your smile! When you schedule your Orthodontic consultation, Dr. Paul Hul will identify the orthodontic option that best suits your needs. Please contact us today to schedule your complimentary orthodontic consultation to learn more about your treatment options. This necessity is typically quite rare, so depending on your individual case, teeth extraction may be necessary to make enough room for your treatment to work properly. However, this will be thoroughly discussed with you by your Point McKay Dental dentist. If you feel your child might require orthodontic care, we suggest booking a complimentary consultation with Dr. Paul Hul. Treatment requirements all depend on the development stage of your child’s teeth, which progresses differently for each person. We hope you’ll take the first step towards your straighter, healthier teeth, and smile by booking your consultation at Point McKay Dental today. Our team is here to answer all of your Orthodontic and Invisalign questions and concerns and to handle all of your family dentistry needs in NW Calgary . Call us at (403) 283-7829 to book your Orthodontic Dentistry Consultation with us today!